In the midst of Washington D.C. battling itself, Republicans versus Democrats over the nomination of Judge Brett Kavanaugh to the United States Supreme Court, I have noticed fervent requests for Christians to pray. Before the Senate confirmation hearing even started, God was faithfully invited by Christian leaders and groups to watch over the upcoming process. With full concern for the American process, Intercessors For America prayed for Judge Kavanaugh, special interest groups, and every member of the Judiciary Committee by name. “WILL YOU JOIN ME NOW IN PRAYER THIS WEEK? Father in heaven, we thank You for the significant undertakings occurring in Washington this week. We know it is by Your sovereign plan that our leaders are in place. You have placed them in their positions of authority out of Your own will and purpose. “Unfortunately, there are already those who are showing no respect for the American process or the rule of law,” said AFA President Tim Wildmon. “Some on the committee are doing everything they can to stop the proceedings, while guests inside the U.S. Senate committee chambers are causing loud and boisterous disruptions. “We are Americans, and while we may not agree on all things, we should agree to respect the process and allow it to move forward. America needs God, and America needs prayer. 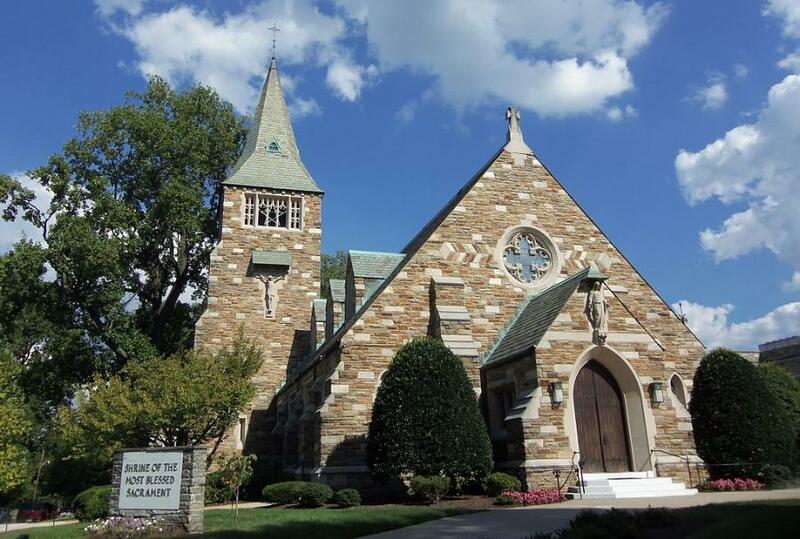 The Shrine of the Most Blessed Sacrament Catholic Church in Washington, DC, Judge Kavanaugh’s home church, offered prayer for all concerned during the Senate testimony. 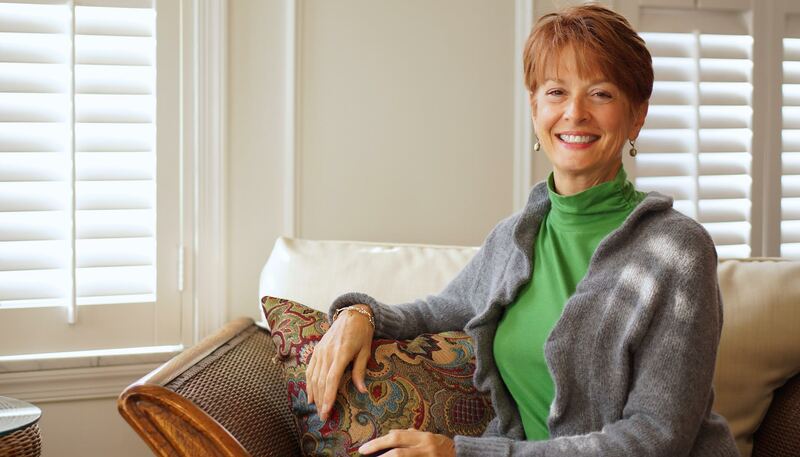 “When someone is hurting, you hold them up in prayer,” Liz Brach, a parishioner, said. “We do not know what Kavanaugh is guilty or innocent of, or what pain Kavanaugh’s accusers have experienced at his or other men’s hands. We do know that this is a difficult process for all involved. Local GRACE LIFE CHURCH, PITTSBURGH, also had a presence in Washington as the final vote for America’s newest Justice was about to be counted. Pastors Bruce “Buck” and his wife, Amy Schafer, were invited to Washington D.C. to pray with many other pastors for our country. 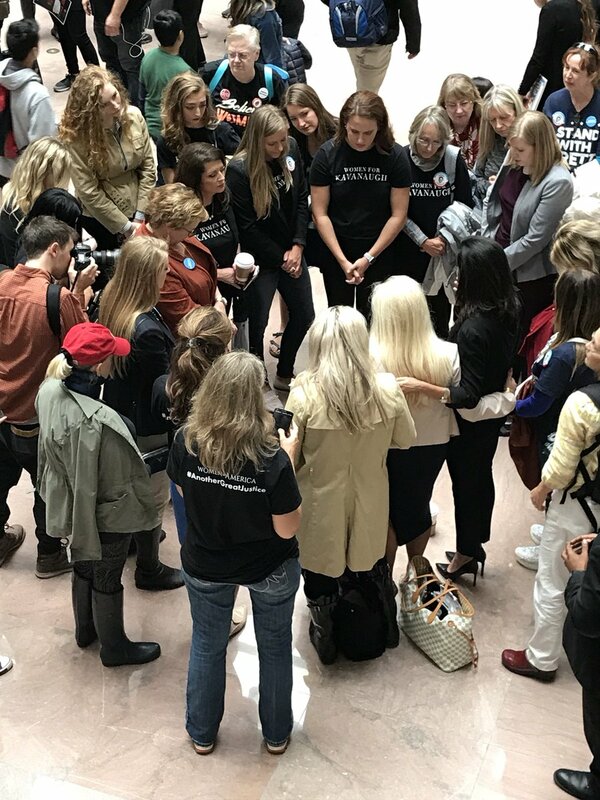 CONCERNED WOMEN FOR AMERICA,is a special group that brought their hearts for Christ to Washington D.C. During the testimony of Christine Blasey Ford, the group gathered together in prayer. “[God’s] presence is here on Capitol Hill today,” the prayer leader said. 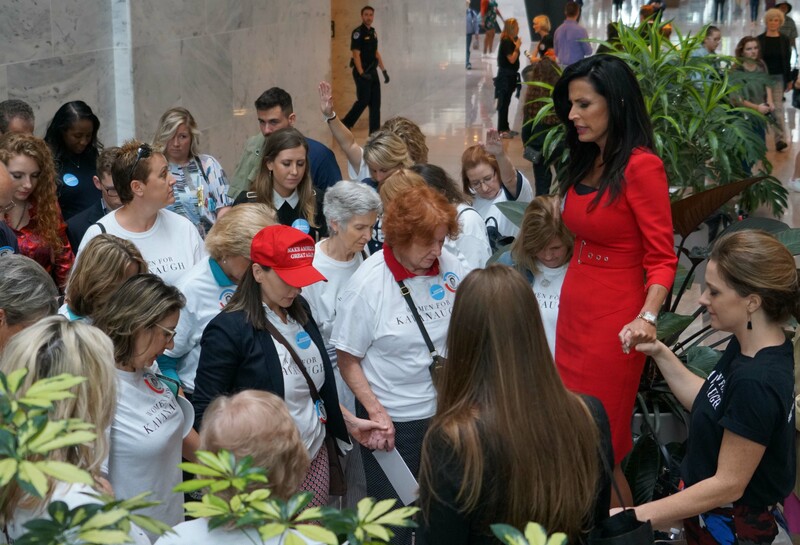 They prayed for Judge Brett Kavanaugh, Christine Ford, for sexual victims, and for the Senate. And, many, many more Christian groups, leaders, websites, and churches prayed for America as Washington continued to battle amongst itself. Then, in the final stage of the judicial process, as Republican and Democratic Senators cast their vote, more than 100 Concerned Women For America gathered in Washington, D.C. from across the United States—to pray. But—Christians, don’t think your praying for Washington is done! Until Jesus returns, our government ALWAYS needs prayer. Christians, please continue to consider and follow the acts and prayers of all those concerned with the Senate Judiciary Committee, and those of President F. Roosevelt. Though leaders try to pass, interpret, and enforce law—Christians know God is in control. Please remember to do what faith asks of us in all situations—Pray for America. 1 Timothy 2:1-4 First of all, then, I urge that supplications, prayers, intercessions, and thanksgivings be made for all people, for kings and all who are in high positions, that we may lead a peaceful and quiet life, godly and dignified in every way. SHARE: Prayer Is A Powerful Thing! Amen!!! Awesome post! God bless! Thank you, Ryan. So much goes on in prayer, at all times of the day. We are not aware of everyone praying, but God sure is! You are so right. We must pray that we have an Awakening in this country and that people will turn to the Lord. Then, He can bless us. We need all the prayer we can get! Not just prayer at bedtime, right? God listens to us at all times of the day!